She traveled to the U.S. to perform Mozart’s Piano Concerto No. 27 with the Indianapolis Chamber Orchestra and presented a recital at the International Keyboard Institute and Festival in New York. Mazmanishvili has appeared at Vienna’s Musikverein, the Konzerthaus Berlin, the Salle-Cortot in Paris and the Phillips Collection in Washington, D.C. She has performed the Gasteig Philharmonie in Munich with the Bach Collegium, and with the Georgian Symphony Orchestra, the Prague Symphony Orchestra, and the Nordwestdeutsche Philharmonie. She was named to “Rising Star” lists in International Piano Magazine and Musical America. Her debut recital disc of works by Bach, Busoni, Liszt and Rachmaninoff was recorded by the Bavarian Radio for the OEHMS label. She is giving concerts mostly in Europe and the USA, where among others she was invited by the Chopin Society in Texas. Her recital at the famous German Klavierfestival Ruhr, which was broadcast by Deutschlandfunk. 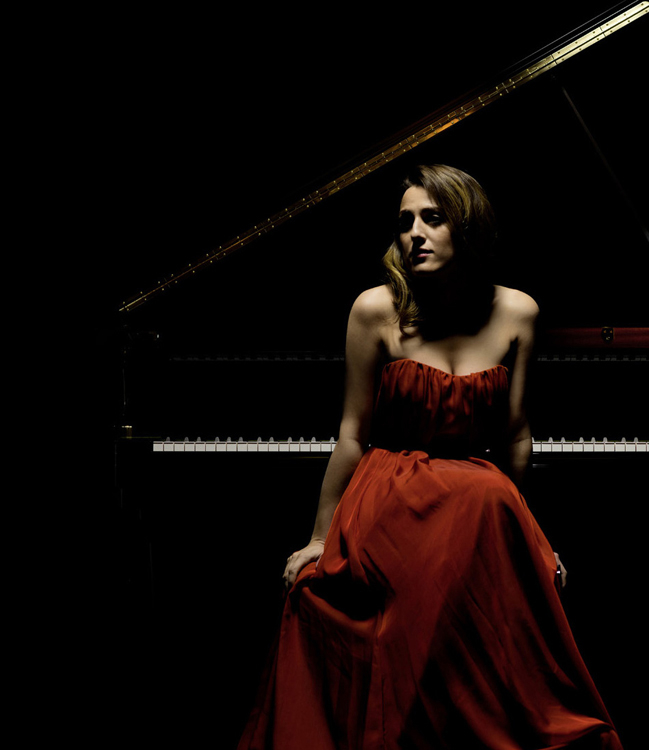 Dudana Mazmanishvili has shared her pianistic career with her mission as a diplomat, promoting the Georgian culture and awakening attention for a place with rich historic roots. 2018-19 she performed at the new Elbphilharmonie Hamburg, the Berliner Philharmonie and the Konzerthaus Berlin, as well as recitals in Austria, Portugal, Greece and the US. "Her most memorable qualities were an unflagging lyricism and a limpid sound that made even the most firework-ridden passages sound like an intimate personal confession, never overly sweet or maudlin. She conveyed strength as well, but never unnecessary force. If surprising, hers was still a lovely, fresh performance of the popular work."